will be accepted at the CCP basement corridor (between the Little theater foyer and the PPO offices). will be collected at the door of the venues the whole day. will be accepted at the courtesy table in front of the CCP Gift Shop. Ballet, Contemporary and Folkloric dance by Perry Sevidal School of Ballet, Sanlahi Dance Troupe, Sandiwang Kayumanggi and Team. Philstage groups perform excerpts from stage musicals. Featuring excerpts from Tanghalang Pilipino's "Madonna Brava" and "Flores Para Los Muertos", Philippine High School for the Arts, John Arcilla, Anna Feleo, Jed Balsamo, "Little Mermaid" of Kids Acts Philippines. Full length dance musical by Ballet Philippines. Words by National Artist Bienvenido Lumbera, Music by Nonong Pedero, Live Music by Diwa de Leon, Choreography by Paul Morales. PPO showcases its small ensembles: Woodwind Quartet, Double String Quartet, Wind and Percussion Ensemble in a rotating repertoire of pop, classical and filipino favorites. Visual artists of Tutok, Concerned Artists of the Philippines, Ugat Lahi, Neo Angono Artists Collective, Pilipinas Streetplan, Sining Bugkos, Artist Arrest, Anino Shadow Play auction off artworks and collaborate on a mural to be auctioned off to gallery owners and collectors. Environment, climate change with Sibol, Haribon network and CREAM. 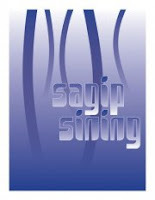 Free Wifi at the Little Theater Lobby to encourage up to date posting about Sagip Sining. Pam here. Who are responsible for these shows? Meaning, who sponsors them?